Ok we agree bracelets are so yesterday, BORING!! 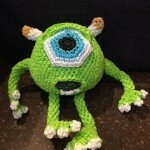 But you’ve got to admit these amigurumi’s made with loombands are pretty awesome. 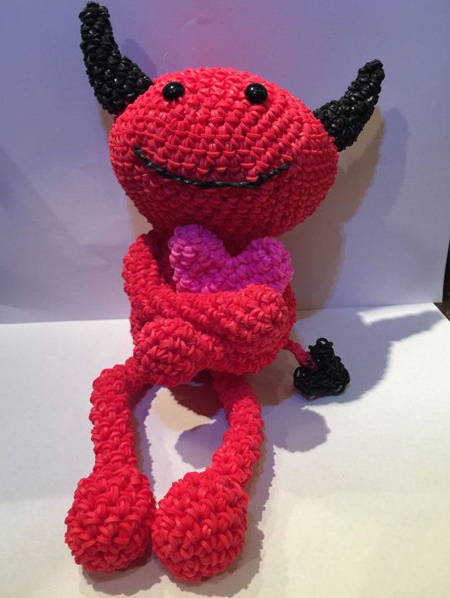 Using a crochet pattern and the loomband hook only crochet style we made this adorable teddy. 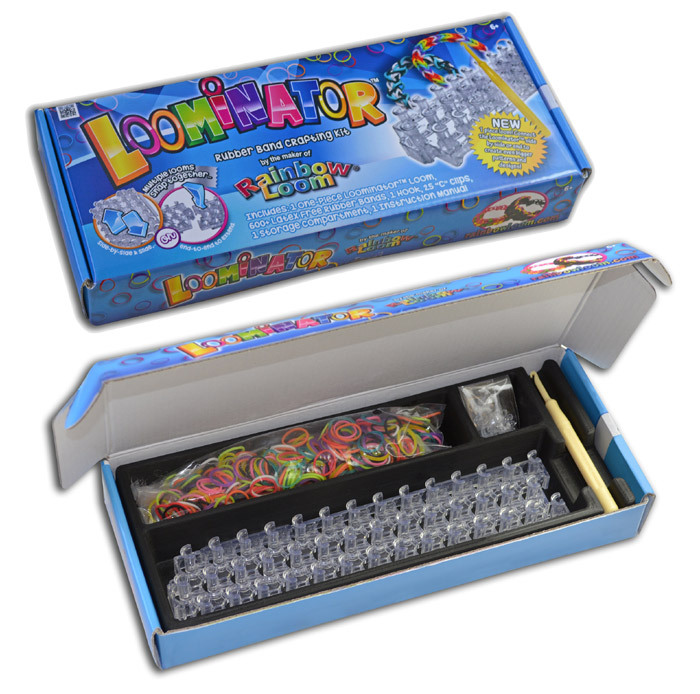 This loom takes about 3-4 hours to make. When doing these armigurumi looms you mostly only use your hook and very seldom use your loom bored, Its a spiral design. 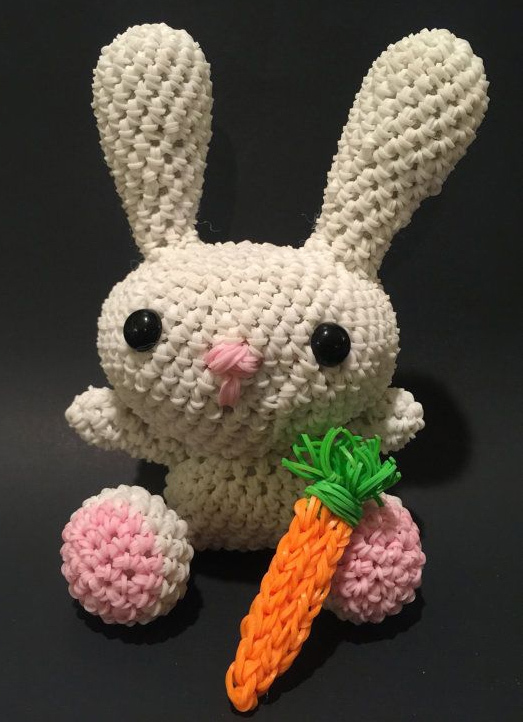 But this amazingly cute design is fun to play with and is fun to make. 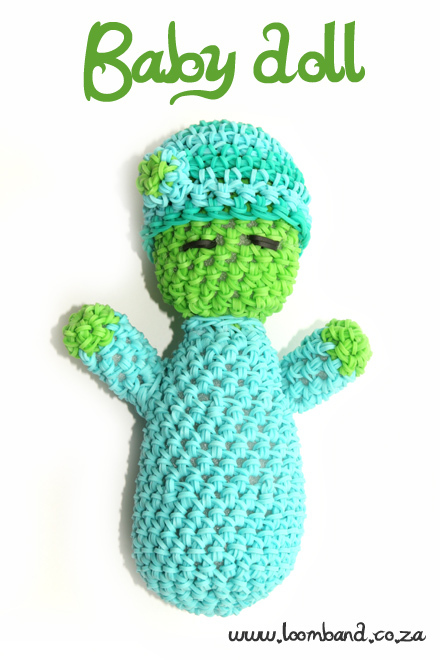 This sweet baby doll comes in two different sizes, very easy and definitively fun to make. 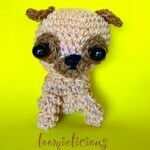 you can have a blast to make these for your daughters, they will definitely play with them like they are baby’s. 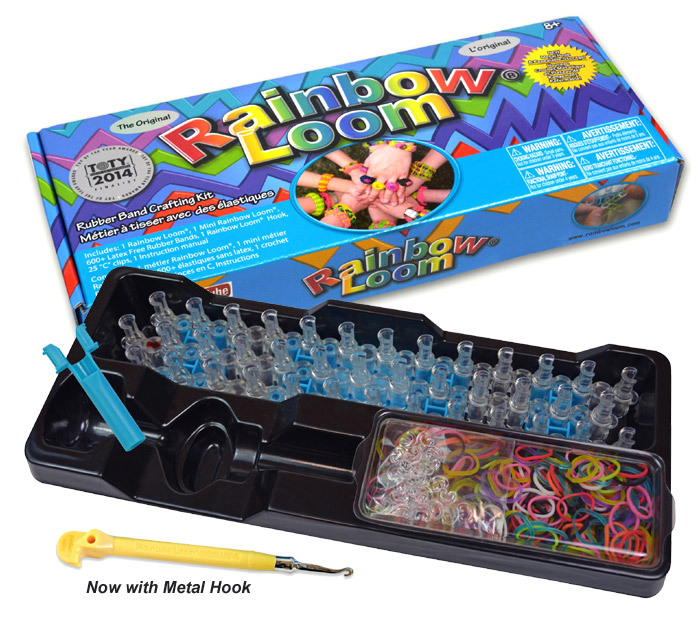 the most adorable part of this loom is that the hat can come off, so you can have fun making all different color hats. to learn how to make this video go to our page link and have fun designing this cute baby doll and large doll. This hippo, you can make any color hippo of your choosing. This is easy and very fun to make, one awesome part of this hippo is that the little skirt ( that is optional) can be removed so you can have unlimited amount of colors and fun for this skirt. 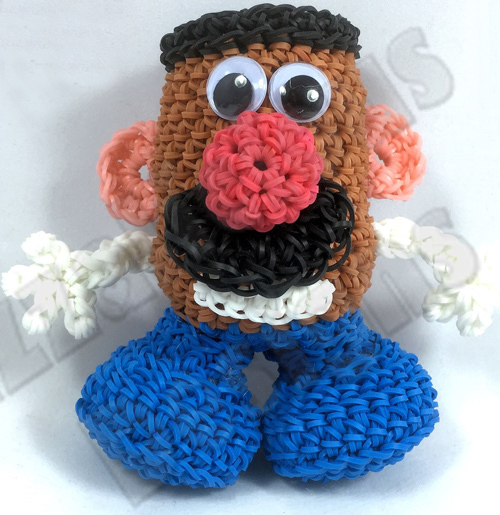 in this tutorial you will need 580 bands for the body , 38 bands for the contrasting color, 2 white bands for the eyes and also 2 black or 2 pearl-er beads optional. 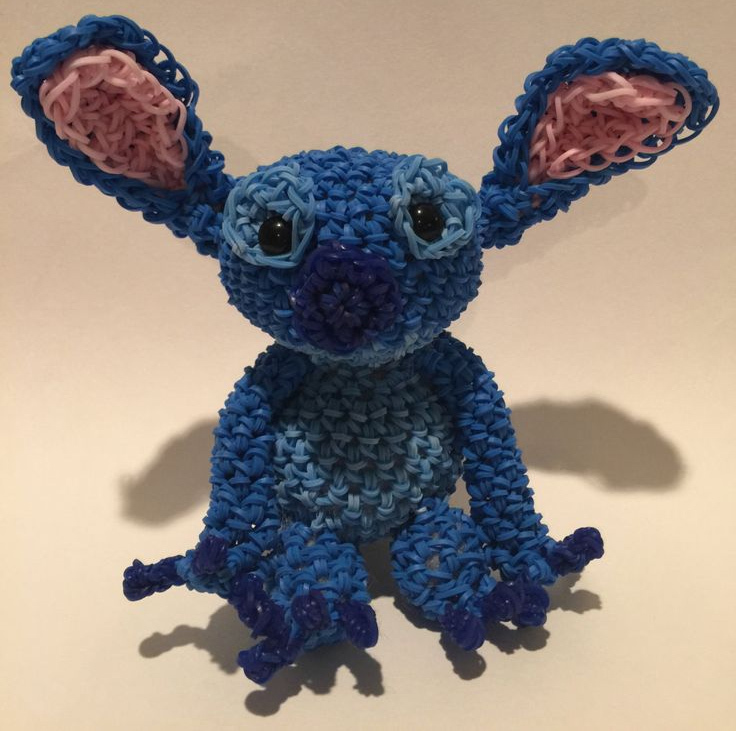 to learn how to make this adorable hippo please see video below. This cute amazing animal is to die for. You can chose any color you like for its clothing or well body color, there are two different size’s for this koala bear, small and big. 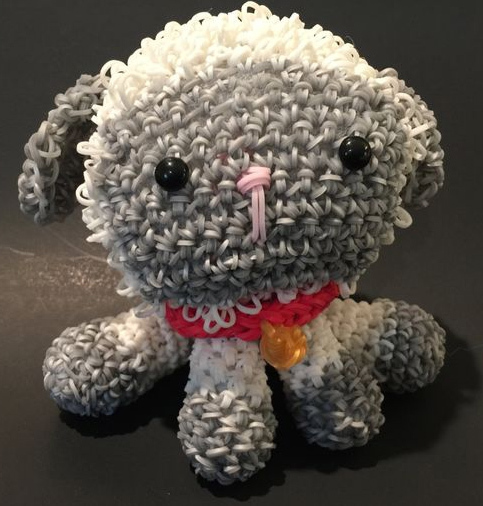 in this tutorial you will need a total of 544 grey bands, 593 color bands for the body 15 black bands, 2 pony beads, a C clip adn some stuffing. 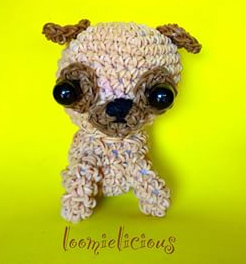 Hope you enjoy this adorable tutorial. Have FUN, i know i did! 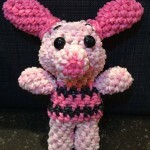 This teddy bear is really fun to make but also need patience, for this is a large design and also uses a lot of looms. 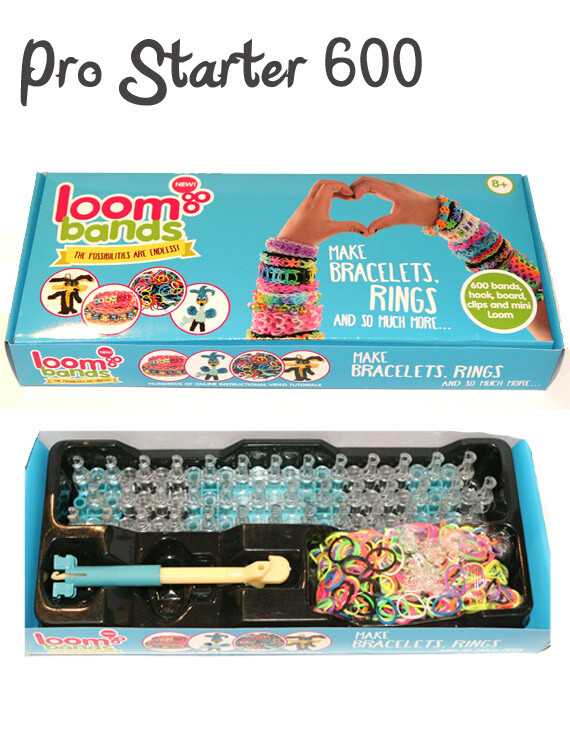 But trust me when i say the amount of looms are totally worth it. 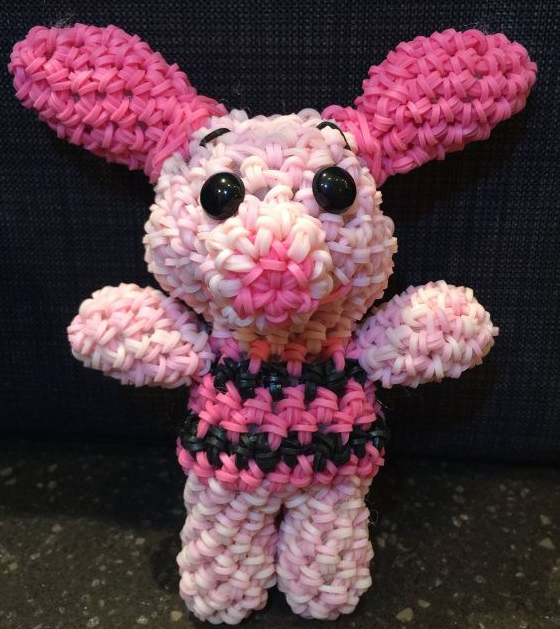 I ABSOLUTELY love this teddy bear design. 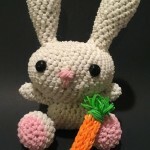 in this tutorial you will need the following, 1800 A color bands, 1200 B color bands, 300 C color bands, 300 D color bands, you will need a hook , stuffing, stitch marker or C clip and buttons or safety eyes. hope you enjoy this video, please know that we only put one video on, and there are 5 videos to this tutorial, but the videos are short. This hungry caterpillar is just hungry to be made. 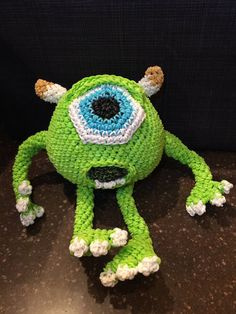 How fun to make this caterpillar, the awesome part of this is you can make it as long as you choose. Hmm maybe even make it as long as your room how fun will that be! 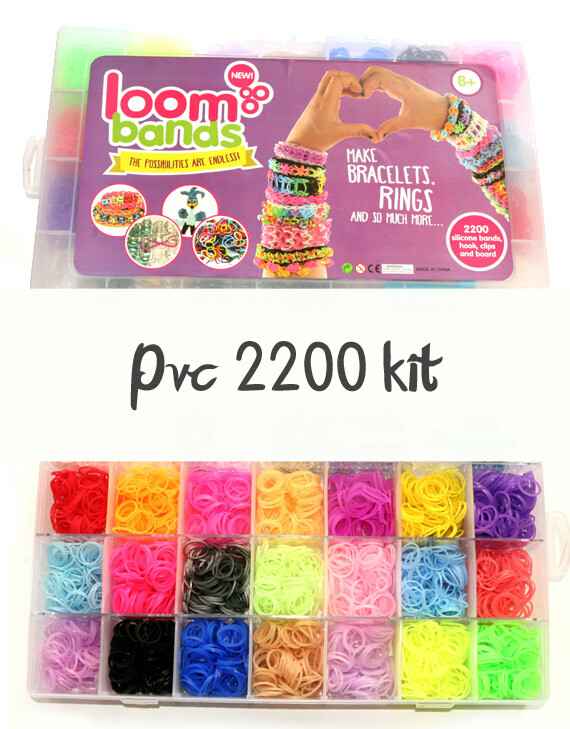 To make this tutorial you will need as many bands as you choose to how long you want to make it, It’s very simple to make. 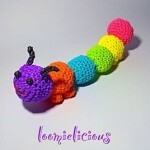 you can choose as many different colors as you like, to learn how to make this hungry caterpillar watch the video below.